I LOVE BBQ everything, bbq chicken pizza, bbq southwestern salads and I just have not found a Bbq that is low enough in sugar but I FINALLY came across one and I have found a WINNER. This particular brand I got at wegmans so search your local stores and see if they have it! 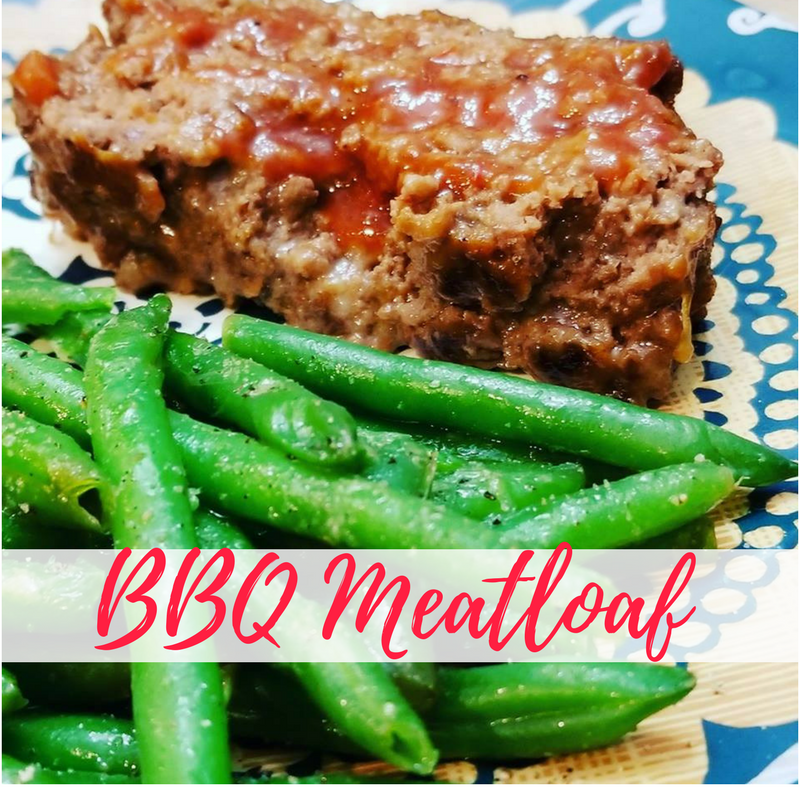 I got to work looking for a family friendly recipe to use this with and I came up with a BBQ meatloaf that the whole family loved! Line a sheet pan with parchment paper ( less clean up) and shape the meatloaf into a long log shape. bake for 45 min, slice and serve. if you need you can always add a touch more BBQ after it is done.